from State Regent, Jan Grundmeyer. Greetings Sisters in Christ! 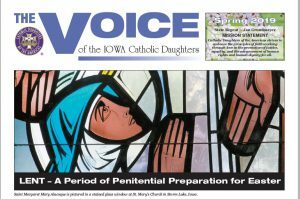 Welcome to our IA Catholic Daughters of the Americas website. We pray you enjoy surfing the website for news and information. Think Spring!! It’s almost here… the 53rd Biennial State Convention in Okoboji! 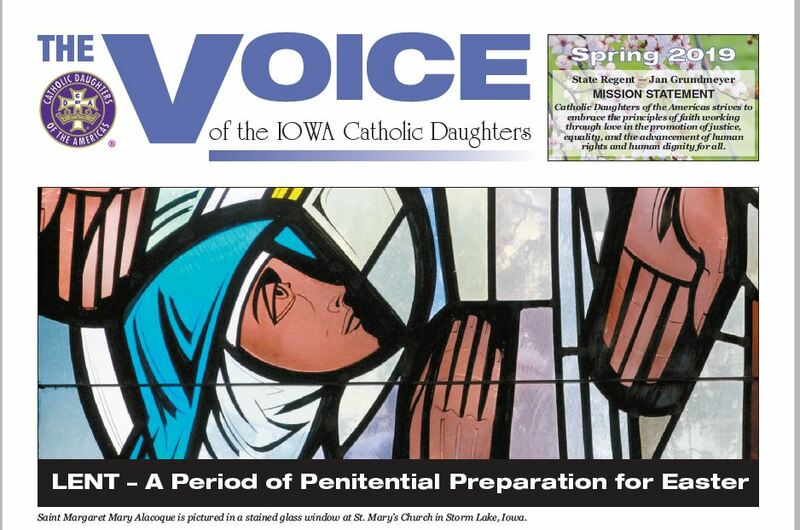 There is a lot of information in the Spring issue of the Voice and on the convention web page. Take note of the website for ordering Iowa CDA shirts! And, as always, if you have any pictures or news articles that you would like added to your court’s web page; please send it to: Chris Peiffer; Webmaster – rcpeiffer@cloudburst9.net. Article format preference is “pdf”and all photos must be a jpeg format limited to 5 MB. Please type “CDA” in the subject line of the email, I will respond as soon as possible so you know that it has been read. Feel free to “snail mail” also. 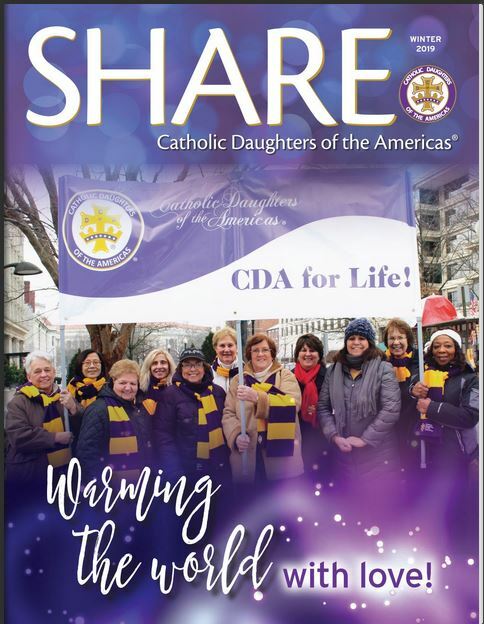 As Catholic Daughters we support so many worthy charities, let us not overlook those closest to us who would feel joy just by a smile or a greeting. Let us personify the Catholic Daughter motto “In Unity and Charity”, invite someone to join this wonderful organization of Catholic sisterhood. Stay tuned for more news and updates…happy clicking! We are called to Social Justice…Stay on top of current issues here! The Spring issue has arrived! Your Winter issue is here! Pray For All Catholic Daughters and their families. 4/11 Please continue to pray for our State Chaplain, Fr. Timothy Schott who is recovering from a broken leg in the home of a friend. Well wishes can be mailed to 2812 N Grant Rd, Carroll, IA 51401. **Please keep Past National Regent M. Joan McKenna in your prayers. She has been diagnosed with cancer. **Pray for all those affected by disaster: hurricane, fire, flood. **Pray for all affected by violence and abuse. **Pray for all Care Givers that they may find the strength to carry the cross they are given. **Pray for guidance of our State Officers who are working diligently on new Iowa Courts. 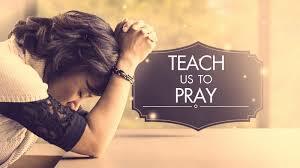 We pray to the Lord…Lord hear our prayer. **Thank you CDA Prayer Warriors!